WomanTheory is a challenge to the predominance of ‘boy theory’ and male voices and knowledge in academia. WomanTheory calls attention to the elision of women’s contribution to social theory and knowledge. WomanTheory is an epistemological and political project. WomanTheory is a movement, a revolution. WomanTheory started as a challenge on twitter to name three women theorists, using the hashtag #womantheory. 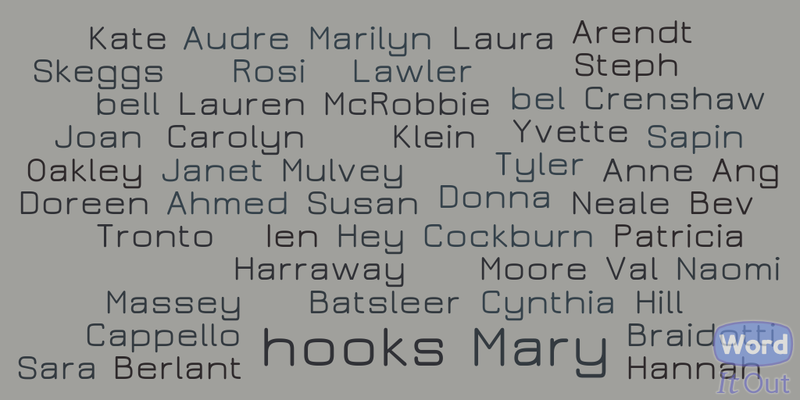 Within hours, twitter was full of the names of great women theorists, thinkers and writers. See the story of how things erupted here. Through our twitter account and this website want to galvanise feminist energy and creativity to keep disrupting the gendered academy. This movement was initiated by Imogen Tyler (Lancaster) and colleagues at the Centre for Gender and Woman’s Studies at Lancaster. The idea for this website emerged from discussions between them and Kim Allen (MMU) and Sarah Burton (Goldsmiths). Reblogged this on Social Abjection.